Do you have financial options/plans? Absolutely! We make excellent dental care affordable for everyone. Through CareCredit third party financing, we are able to offer no-interest payment plans for up to 6 months. Yes – but the frequency and type of x-rays taken is tailored to your individual needs and risk assessments. The radiation dose from x-rays is much lower with our digital imaging system than with old fashioned film x-rays. X-rays are still the only way to diagnose certain types of cavities, infections and cancers, so they are still an indispensable part of your care. Click here for our current office hours. Why can’t I just get an OTC mouth guard for grinding/clenching issues? An over-the-counter (OTC) mouth guard will separate your top and bottom teeth while you sleep, preventing any grinding from damaging the teeth. However, an OTC mouth guard can’t be adjusted to balance your bite forces. Some people develop severe pain in their facial muscles from clenching on an unbalanced guard. In certain instances, irreversible damage may be done to the jaw joint and surgery may be required to correct the injury. We always recommend a custom, balanced guard for clenching and grinding – it’s simply safer and more predictable. Good question! There are many different reasons the gums bleed, and each points to a different underlying change in your overall health. The most common reason is gingivitis – a superficial infection of the gums. Other reasons include periodontitis (a bone-destroying gum disease), hormonal changes during pregnancy, changes to the health of the immune system, and certain cancers. Be sure to discuss the bleeding with Dr. Jeff and your hygienist at your appointment! My old hygienist was always hounding me to come in for my cleaning every 3 months, and my insurance won’t cover more frequent cleanings. I just want a “regular” cleaning, only what insurance will cover. What is the difference? People who are healthy and have never had gum disease get a “regular” or preventive cleaning at the dental office. If you’ve been diagnosed with gum disease, we’re no longer trying to prevent disease; we’re treating it and keeping it in remission. The work that your hygienist is doing is actually different (and more involved and challenging) than the “regular” cleanings for healthy patients. Because this is treatment rather than prevention, the insurance coverage isn’t as favorable as healthy patients receive. That doesn’t mean the treatment isn’t necessary – in fact, it’s critical if you want to remain healthy and not let the disease reactivate. Why doesn’t my insurance cover everything I need? Your dental insurance is actually more closely related to a flex account than it is to medical insurance. Coverage is governed by contracts that each employer creates individually with a dental benefits carrier. The rules of the contract dictate what is covered; medical necessity is not taken into account. Insurance is still a wonderful benefit to have, but it’s important to realize that it is limited to assisting, rather than covering, the cost of your care. I know I’ve neglected my teeth and should go to the dentist, but I’m afraid that: A) it will hurt, B) be very expensive or C) the dentist will yell at me. There’s an old saying that ignorance is bliss, and it’s true that no one ever wants to hear “bad news.” If there are problems with your teeth, though, you’re bound to find out eventually. It’s simply a choice between finding out on your own terms with a calm, planned appointment or finding out in an emergency situation when something breaks or starts to hurt. That said, having Dr. Jeff do a complete evaluation of your mouth and talk with you about your current condition (which may not be as bad as you’re assuming) and your treatment options isn’t painful or expensive, and we’ve never heard him yell at anybody! I’ve had bad memories of my childhood dentist, and am very fearful of the dentist. What do you do differently that will make me feel at ease? The most important difference is that Dr. Jeff takes time to listen to your fears and develop a personal plan to keep you more relaxed. Some patients want lots of details about what’s happening during treatment; some patients want to wear dark glasses and have us work as quickly and quietly as possible. It could be planning a few extra minutes to make sure you’re completely numb before we begin, or even a prescription for an anti-anxiety medication. Whatever the plan is, the most important thing is that you’ll have a chance to share your concerns with Dr. Jeff and develop your plan together. Will I have to go to a specialist for a root canal? Probably not. 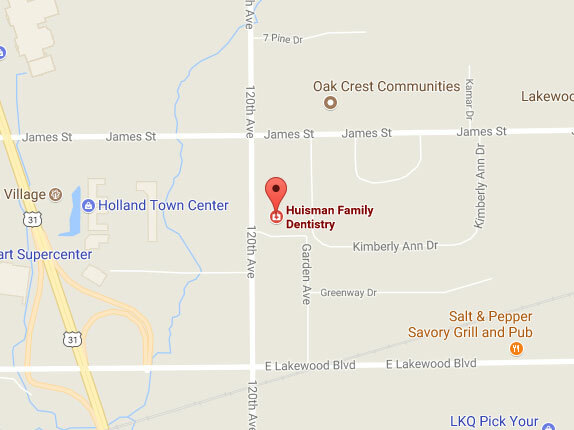 Dr. Jeff is able to perform most root canal procedures comfortably in our own office. If he determines that a specialist is necessary, he will discuss it with you before any appointment are made. Ask us about our revitalizing full mouth restoration! Ask us how dental implants can bring your smile back! Ask us how you can find relief.